Taking on the responsibility of selecting the Top 20 Americans currently playing in the Australian Baseball League is risky business. For the 20 up-and-coming MLB prospects, it’s an early holiday present to share with friends and family back home while playing ‘Down Under’. Yet for the others unfortunately not mentioned in the Top 20, it’s another Big League blow… As a sign of good faith, we will feature the missing in action in future articles. In the meantime, let’s now look at numbers 11-20 of the Top 20 Americans in the ABL. 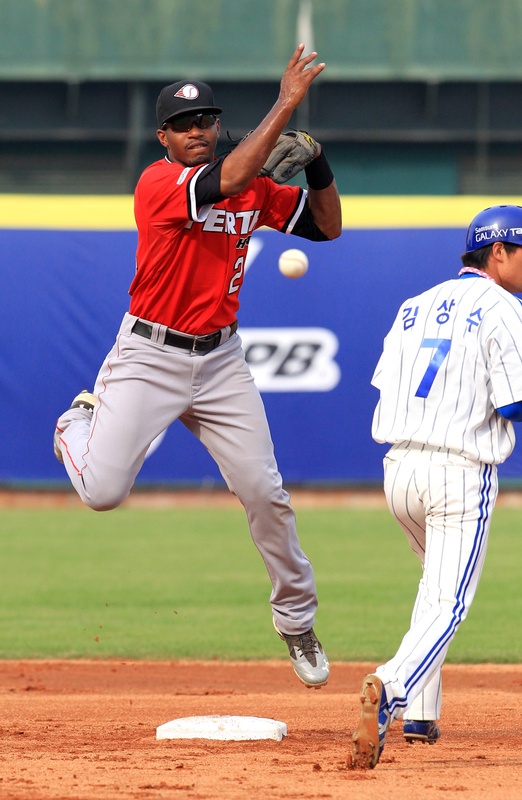 Considered baseball’s best all-around high school player in the nation at the time, Mychal Givens was selected by the Baltimore Orioles in the 2nd round of the 2009 MLB June Amateur Draft as a shortstop and reportedly received a $800,000 signing bonus just hours before the Orioles’ rights to Givens would have expired. Not only was the six-foot-one high school athlete an All-State shortstop during his junior and senior years at Florida’s Plant High School, but Mychal Givens’ cannon for an arm was utilized on the mound because of explosive mid-90’s speed and a 1.71 ERA. With aspirations of one day soon helping the Orioles win the World Series, he sped through four levels of low minor league action in his first season as a professional playing second baseman and shortstop. Impressing the O’s with his athleticism and maturity only a year out of high school, Givens had exceeded the Orioles’ expectations during extended spring training and started his season at a higher level than expected. In June 2010, a minor setback sent Givens back to his Tampa area home to nurse a sprained left thumb shortly after being promoted to the Delmarva Shorebirds. Despite injuring his thumb sliding into a base and as a result missing significant time off the diamond, the 2011 Prospect Handbook ranked the 21-year-old #7 in their list of the Top 10 prospects in the Baltimore organization. After hitting nearly .300 and projecting a nice contact bat, MLBDirt.com recently ranked Givens #16 in their 2012 Oriole’s prospect projections in hopes that the team would use their infielder as a pitcher. As an impact player committed to playing whatever position the O’s want him to play, Mychal Givens is determined more than ever to make it to Major League Baseball as quickly as possible. 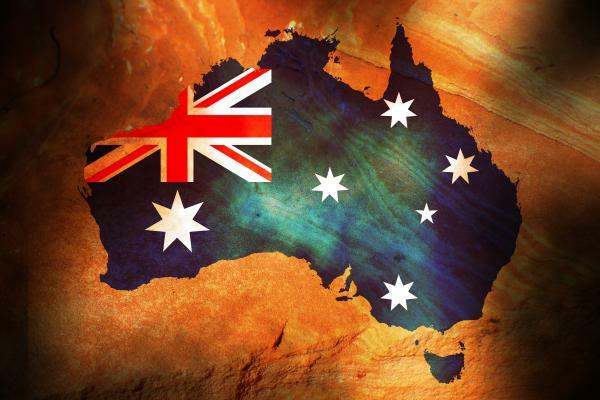 His move to align himself with the Australian Baseball League’s defending champion Perth Heat was a solid decision. Playing in the 2011 Asia Series with some of baseball’s best was a bonus nonetheless. Among the top twelve hitters in the league with a .308 average, Givens is tied for fourth in doubles (5) and stolen bases (4). Look for him to turn on the Heat down the stretch. Perth teammate James McOwen will always be known as the one who came really close to beating some Big League names for the longest hitting streak in Minor League Baseball in 2009. With the record set almost a decade earlier in 1919 by Joe Wilhoit (69) and the legendary Joe Dimaggio checking in second (61), Single-A Seattle Mariners affiliate High Desert Mavericks outfielder James McOwen went down in California League record books for his 45-game hitting streak and compiled an impressive season .340 batting average with 10 home runs and 82 RBIs. Snagged by the Mariners as their 6th round selection in the 2007 draft and reeled in with a $123,000 signing bonus, James McOwen was always considered a contact hitter rather than a power hitter during his college career at Florida International University. The franchise was so confident in his MLB promise that he was invited him to 2010 Mariners Spring Training. On the final weekend before the start of the Mariners 2009 Season in an exhibition game against the Colorado Rockies in Albuquerque, things looked good for the bright new MLB hopeful. McOwen was where he longed to be: playing left field in a Mariners uniform. However, a deep drive hit by Rockie Clint Barnes sent him to the warning track and beyond. Trying to track down the fly ball to keep the game tied, McOwen slammed into the outfield wall and suffered a separated left shoulder–thereby eliminating the opportunity to play in MLB in 2009. McOwen attempted to rewrite history after one year of rehab when he was sent to Scottsdale in 2010 to start as the Mariners left fielder against the Colorado Rockies in the final spring training game in Arizona. The 26-year-old made a lasting impression on the Seattle franchise by going 2-for-3 and scoring a run that day. McOwen worked hard to get up to speed before making his splash last year in the newly reformed ABL’s inaugural season, when he led the league in home runs (11), RBI (30) and slugging percentage (.613). 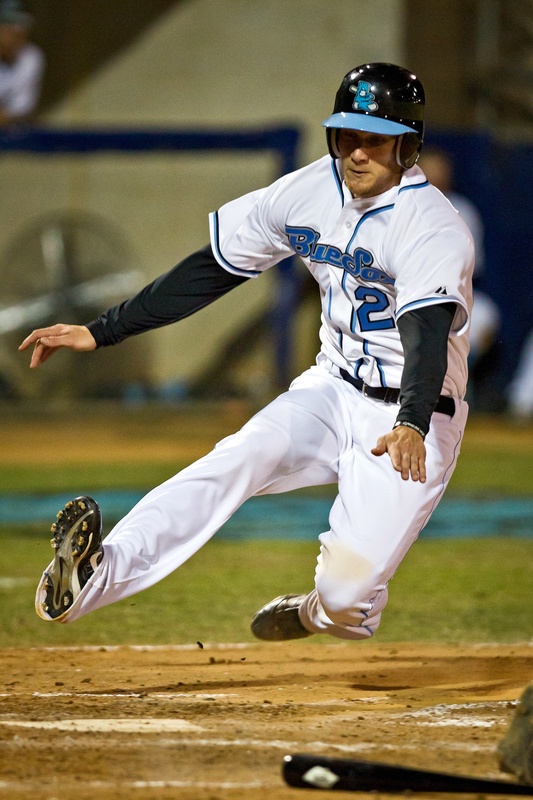 As Adelaide’s best hitter with a .340 batting average, he was also recognized as the league’s finest player being voted ABL Silver Slugger and MVP/Helms Award recipient. In quite a shocker, McOwen signed with Perth in the off-season. The move was a sound one as he was recently selected as ABL Player of the Week for Round Six. 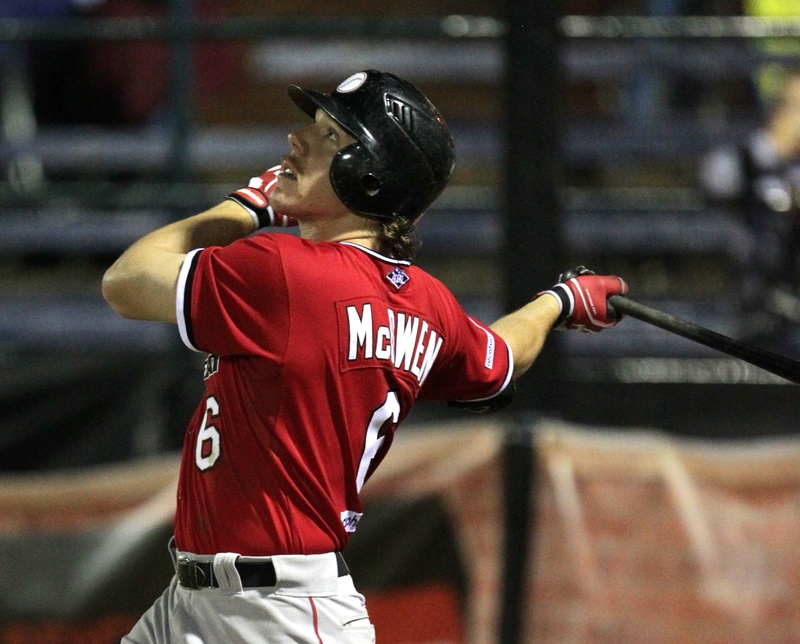 Now leading off for the Heat, McOwen has hit safely in each of the Round Six games–thereby extending his hitting streak to seven games during which he has four multi-hit games, 10 runs scored and six RBI. Could this be the return of the record-breaking James McOwen? His seven-game ABL hitting streak is no accident as he has really developed an eye for the strike zone. Over the past few years, McOwen has really transformed himself into quite a patient hitter. 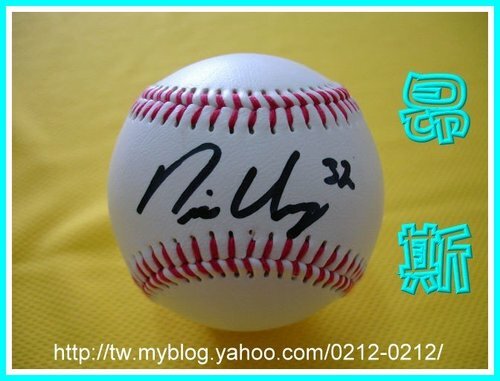 In the current 2011-12 ABL season, he is first in stolen bases (10) and triples (2), third in batting average (.367), fourth in doubles (5) and OBP (.449) and sixth in walks (9). McOwen has been known to perform even better the second time around. Dubuque, Iowa’s Nic Ungs of the Melbourne Aces delivered possibly his best pitching performance against the Brisbane Bandits last month and was named as one of the ABL Players of the Week for Round Three. 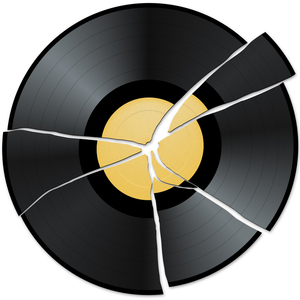 Coming within two strikes and inches away from throwing the first ever perfect game in ABL history, Ungs now wishes that he could get the pitch back that Brisbane’s Brad Dutton drilled just out of Aces first baseman Justin Huber’s grasp to end his no-hit bid. Having already pitched a no-hitter before in his professional baseball career, it would have been a first perfect game for the 32-year-old Midwesterner. Being the 12th-round draft pick by the Marlins in 2001 after his junior season at the University of Northern Iowa, Ungs has also played in the Chinese Professional Baseball League as well as for Brewers organization in the minor leagues, where he has career 71-56 record and a 3.64 ERA. In 2009 while pitching for the Marlins Double-A affiliate Jacksonville Suns, Ungs went 10-3 with a 2.37 ERA in 18 starts. With four years of Triple-A experience under his belt, Nic Ungs has flirted with graduation to Major League Baseball. Prior to signing on with the ABL’s Melbourne Aces, Ungs spent the 2011 season with the Atlantic League of Professional Baseball Somerset Patriots. Currently one of the ABL’s Top 10 Pitchers with a 1-1 record in four starts and a 3.05 ERA, Nic Ungs strives for absolute perfection every time on the rubber. 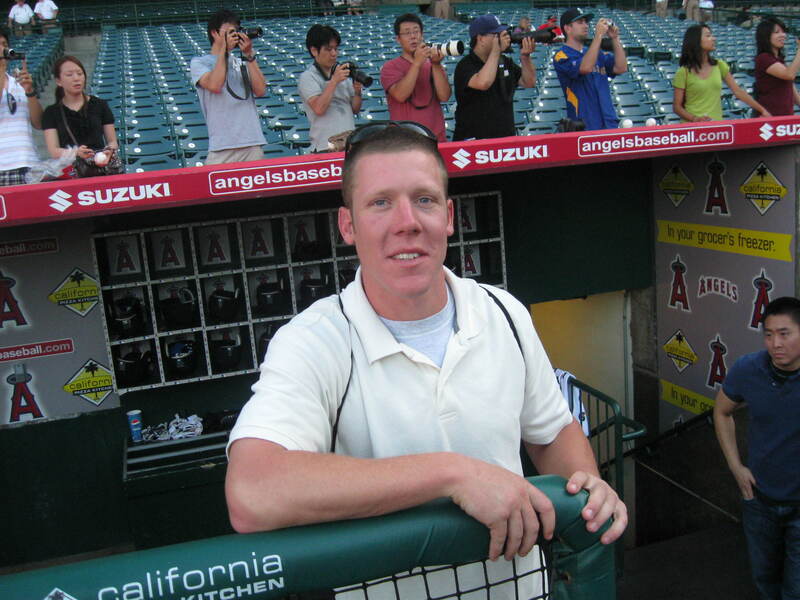 San Luis Obispo, California pitcher Trevor Caughey was selected by the Baltimore Orioles in the 9th round of the 2002 MLB Amateur Draft after playing at Cuesta College, where he posted a 3.14 ERA and was a All-California First Team selection. Remaining in the O’s minor leagues for five and a half years before launching a very successful career in the independent league circuits in the U.S. and abroad, Caughey was unable to demonstrate his ability to play first base and outfield while a MLB pitching prospect in the minors. The six-foot-one southpaw wasted no time free from the restrictions and was named to the 2008 Baseball America All-Independent Team while pitching in the Golden Baseball League. 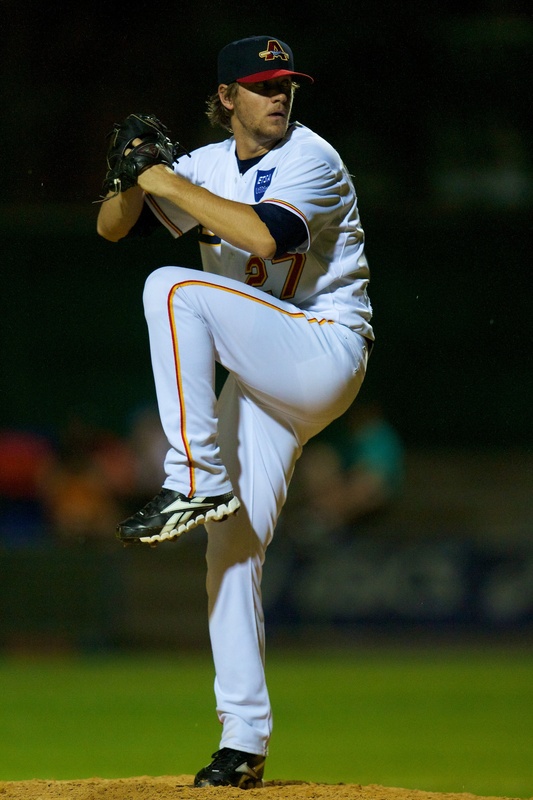 In 2010 he ventured to Europe, where he pitched for Technika Brno in the Czech Extraleague and compiled a 7-1 record with an ERA of 1.86 in eleven games. He averaged one strike out per inning and only walked 14 in over 77 innings of work. 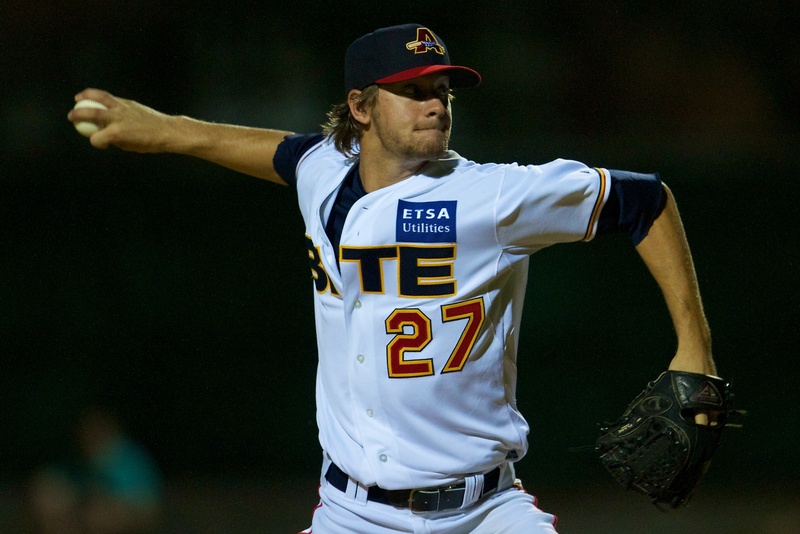 Last winter in the ABL, Trevor Caughey was outstanding while collecting two post season wins and propelling the Perth Heat to the championship title. So far, 2011 has proven to be a renaissance year for the 29-year-old pitcher. Making 15 appearances in 108 plus total innings and starting in 13 games for the Spanish Division de Honor club Astros Valencia, the California Central Coast import performed even more EU magic by posting a 11-3 record and a 0.83 ERA. 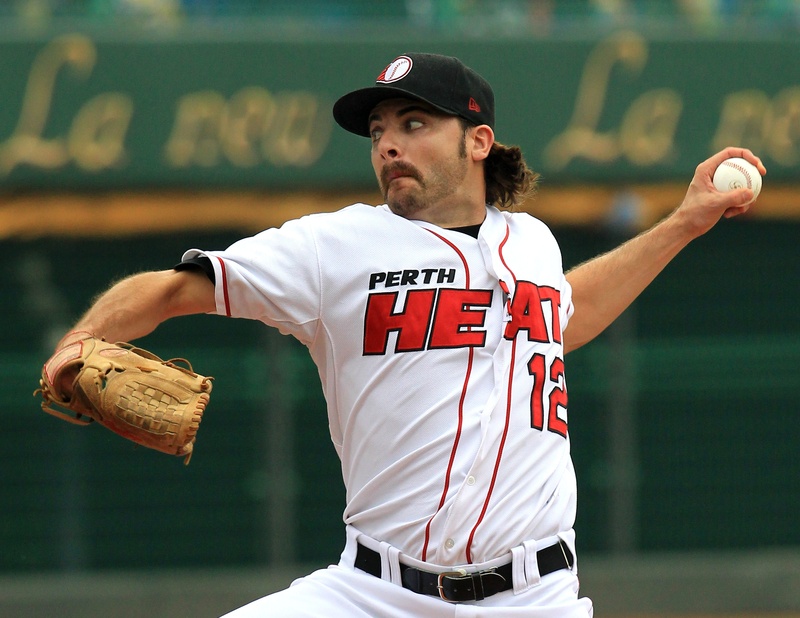 Back ‘Down Under’ in the ABL for the 2011-12 season with defending champs Heat, Trevor Caughey has won both of his starts (2-0) and has struck out nine in 12 innings pitched. 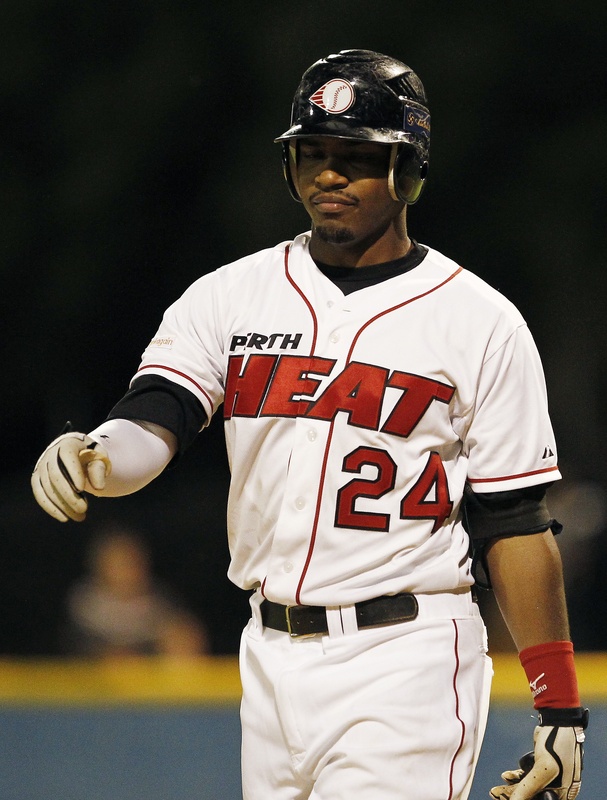 Expect Heat manager Brooke Knight to ignite Caughey’s fire power to defend the ABL crown. During the recent World Series, news came out of the Houston Astros camp that they had re-signed Orange County, California’s Brandon Barnes to another Minor League contract with a Spring Training invite. Was it because the Houston Astros Player Development Department honored Barnes in May 2011 for his defensive excellence at Triple-A Oklahoma City after playing in 33 games and attaining an impressive .988 season fielding percentage? Or maybe it was because out of his 45 hits for the RedHawks, 26 of them (58%) were doubles or better? Better yet, perhaps it was due to the fact that he was originally a high school football player who tried out for the Cypress College team, only to become a Freshman All-American and is still learning the game? Regardless, the fact remains that Barnes was drafted in the 6th round of the 2005 MLB June Amateur Draft by the Houston Astros for a Big League reason. In his seven-year tenure with the rebuilding organization, he has put together a combined .250 batting average with 77 home runs and 300 RBIs. 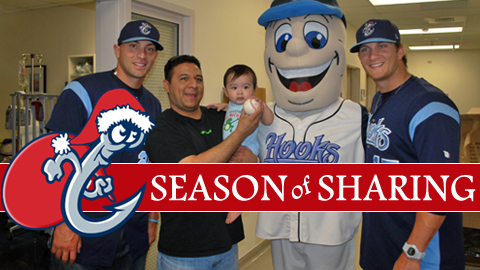 Brandon Barnes (on the far right) and friends lend a helping hand to local families during the holiday season while playing for the Corpus Christi Hooks. 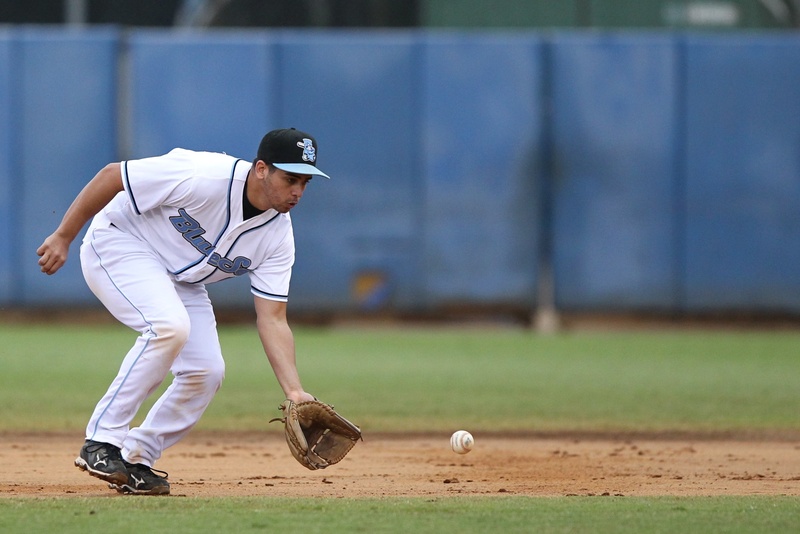 Sydney Blue Sox #16 Joey Hage is making a speedy comeback to Major League Baseball by playing in the Australian Baseball League. Sydney Teammate Joey Hage was drafted at age 18 by the St. Louis Cardinals in the 23rd round of the 2007 MLB Amateur Draft as a second baseman. He played for three years for both the Gulf Coast League Cardinals and the Johnson City Cardinals in the Appalachian League from 2007 until an abrupt halt to his young aspiring career in 2009, when diagnosed with colitis. In those three seasons, Hage recorded a combined .248 batting average with three home runs and 43 RBIs in 130 games. 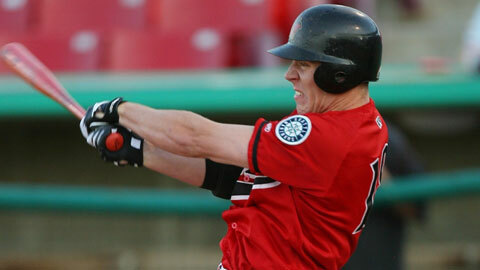 He returned to baseball when the Toronto Blue Jays signed him to a minor league contract in January 2011. Hage began playing with the Rockland Boulders of the Canadian American Association of Professional Baseball. On July 24th against the Quebec Capitales, Hage made Can-Am baseball history with one swing. With the bases loaded , two outs and the Boulders trailing by a run in the top of the ninth, the South Florida-native rocketed the first pitch he saw out of the park to give Rockland a 7-4 victory and record the Boulders’ first grand slam ever in their young history. The 22-year-old has kept up his reputation for heroics in the ABL. 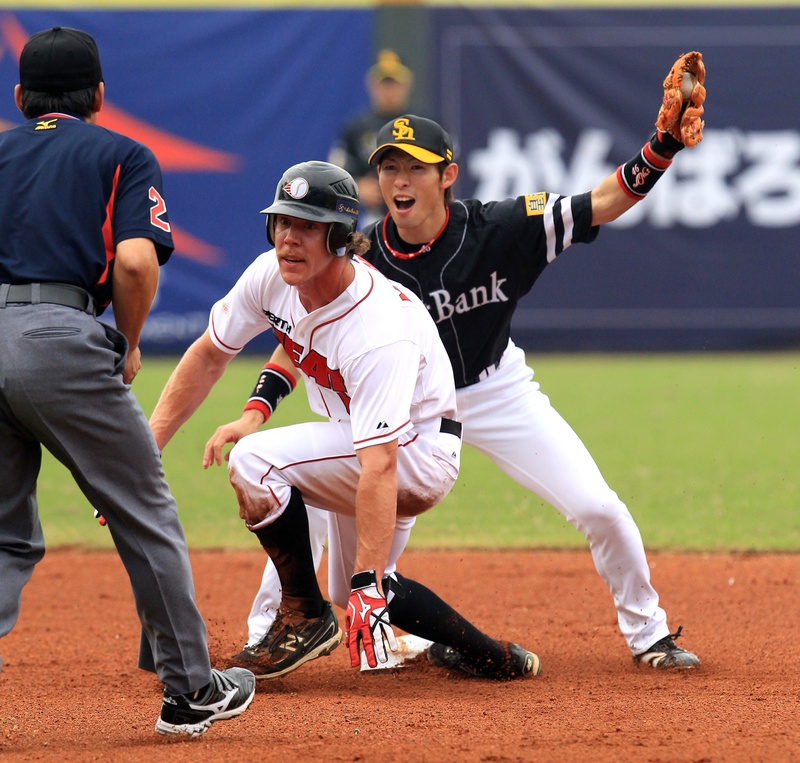 In his debut on December 1st, Hage scored the winning run of a 15 inning marathon against the Brisbane Bandits and was batting .429 (3-for-7) with two runs scored and one stolen base by midnight. Based on 20-year-old Minnesota prospect and Aussie teammate Todd Van Steensel’s tweets: “Rain out today, so back at the house playing MLB 2K10 with the Americans” & “Taking the Americans out for dinner in the city, show them the lights and sounds and everything good #Sydney”, Barnes and Hage have been captured and held hostage by the Clubhouse Chronicles. ESPN’s Tristan Cockroft recently selected Adelaide Bite 21-year-old closer Ryan Beckman as the fantasy sleeper to own in the 2012 Pittsburgh Pirates bullpen. 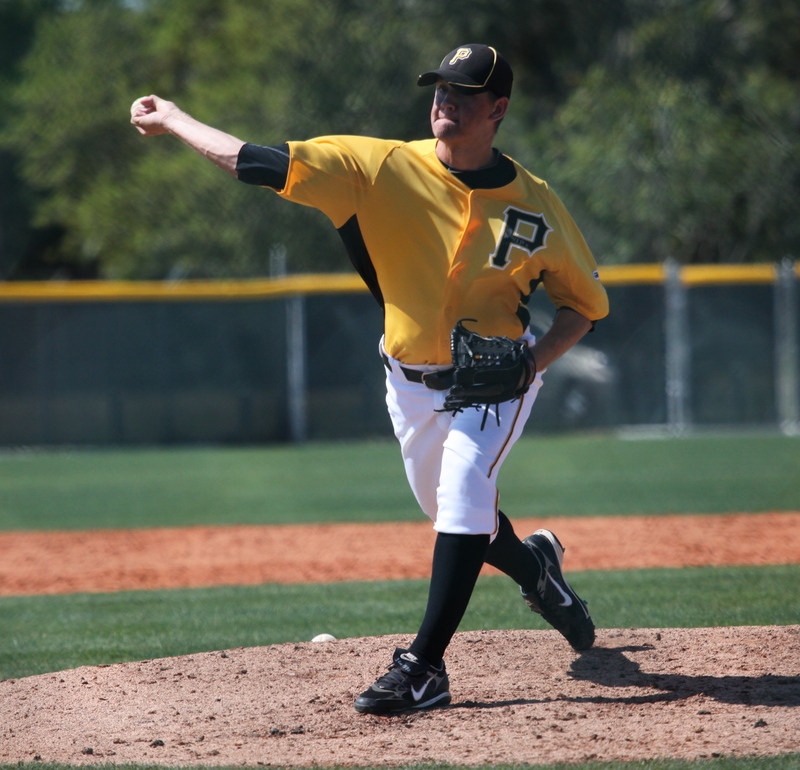 After pitching in a Pirates Spring Training game in Bradenton, Florida against the Tampa Bay Rays on February 27th, the Pittsburgh organization saw they had something special in 21-year-old Ryan Beckman. Summoned from the bullpen to relieve roughed up starter Kevin Correa, Beckman took on a line-up that included Desmond Jennings, Sam Fuld, Kelly Shoppach, Matt Joyce and Casey Kotchman. In the end, Beckman prevailed to keep hitters off the bases in his 1 2/3 innings of relief and retired all five Rays he faced. Scouts already knew that the six-foot-four Texan was a rarity when he was drafted by the Pirates in the 18th round of the 2009 MLB June Amateur Draft. 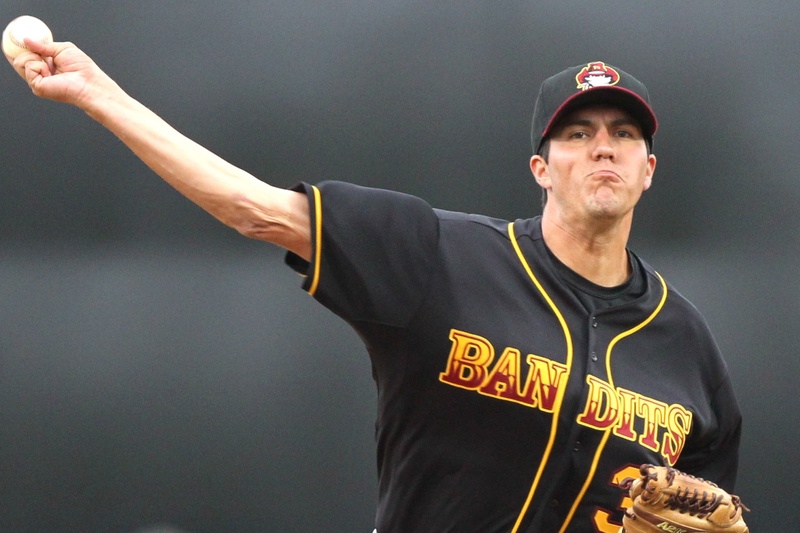 Before joining the Adelaide Bite in the ABL, Beckman spent most of the 2011 season as the Single-A Advanced affiliate Bradenton Marauders closer. Posting a 3.12 ERA and striking out 46 in 52 innings, he tallied 11 saves. The sidearm right-handed pitcher had a brilliant summer beginning in July, when his ERA was 2.05 and hitters batted just .172 against him. Equipped with a fastball in the low 90′s with a wicked curve and change-up, Beckman’s delivery is from a different arm angle than most pitchers to create even more deception. Recently named to Team World in the inaugural ABL All-Star Game, which will televised on Fox Sports Australia and MLB Network on December 21st, Ryan Beckman has earned the right to showcase in front of a worldwide audience after leading the league in saves (4) and keeping batters at bay with a 1.38 ERA. 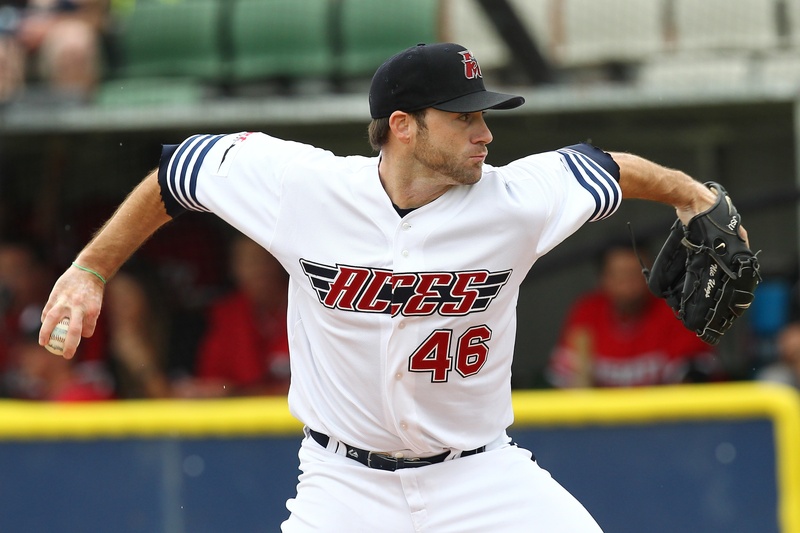 Making nine appearances and providing 13 innings of relief for the Adelaide Bite, he has a 1-0 record and has averaged one strike out per inning while only allowing two walks. Although he was home schooled, Beckman played baseball for the same Grayson County High School that produced the big Abilene, Texas MLB star John Lackey. 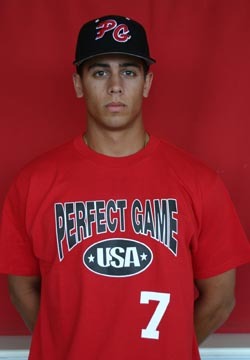 Following in his footsteps, Ryan Beckman could very well be the next Big League pitching sensation from the Lone Star state in 2012. Saddle up and watch the ride–yee haw!!! 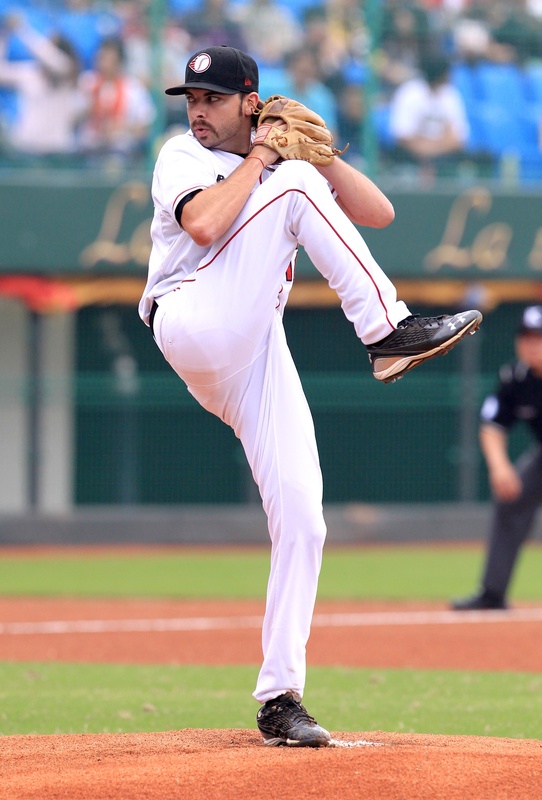 Upon the urging of rehabbing major leaguer Jason Hirsh and current Los Angeles Dodger Shane Lindsay, Colorado’s 28-year-old pitcher Sean Jarrett is now playing in the ABL for the Brisbane Bandits. Drafted by the Rockies in the 20th round of the June 2006 First-Year Draft out of Tulsa’s Oral Roberts University, the six-foot-five reliever went straight to work as a minor league closer with fifteen innings experience and a sparkling 1.10 ERA before blowing his arm out. Shortly thereafter, he underwent Tommy John surgery and was out of baseball-related activities until after 16 months of rehabilitation. Jarrett worked his way back through extended spring training followed by short-season ball. 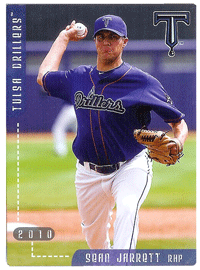 He eventually moved on up to the Colorado Rockies Double-A affiliate Tulsa Drillers bullpen as the club’s reliever. After going 3-1 with a 1.85 earned run average in 2010, Jarrett expected to get more playing time with the Drillers in 2011. Although his velocity had decreased following his 2007 surgery, he was still very effective with the command and movement of his pitches. In a less-than-optimal position stuck in between the inactive list and the Tulsa roster, Sean was used to eat up innings and fill in gaps. He sought to be released from the Rockies organization after being fed up with the way things went down with the Drillers. After five and a half seasons in the Rockies minor leagues–where he had thrown 193 career strike outs while recording a 3.56 ERA, Sean Jarrett was released by Colorado on August 5th and was quickly snapped up 11 days later by the Atlantic League of Professional Baseball Camden Riversharks, who coincidently picked up the ABL’s current #1 American pitcher–Canberra Cavalry’s Mike McGuire–one month later. 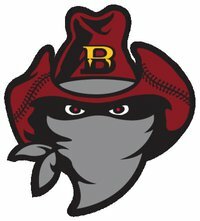 Since joining the Bandits, he has been working on his slider and building his arm strength. Although only seen in 6.2 scoreless innings out of the bullpen with opponents batting a whimpering .143 against him in the ABL, it would not be surprising to see him stretch out and start for Brisbane. It would be unfair if we did not at least acknowledge a player who could quite possibly have been the league’s MVP if he had not been injured during ABL action in November. Canberra Cavalary’s John Tolisano was selected by the Toronto Blue Jays in the 2nd round of the 2007 First-Year Player Draft and was lured to sign for a $391,500 bonus, instead of accepting a full-ride scholarship to the University of Florida. After hitting 30 career home runs in four seasons as the starting shortstop for Southern Florida’s Estero High School, the Jays had high hopes that Tolisano could become Canada’s future home run king and follow the lead of the MLB All-Star Jose Bautista. He led the Gulf Coast League with 10 home runs in 2007 and was named to the GCL Post-Season All-Star team. Tolisano moved up the ranks as a 2008 Midwest League All-Star. Things were looking prosperous for the Toronto prospect as he progressed to the Jays Single-A Advanced affiliate Dunedin Blue Jays for the 2009 and 2010 seasons. Despite being a a jack of all trades and playing five different infield and outfield positions in 61 games in 2010, Tolisano was injury-plagued. He still managed to move up the ladder to the Jays Double-A affiliate New Hampshire Fisher Cats. 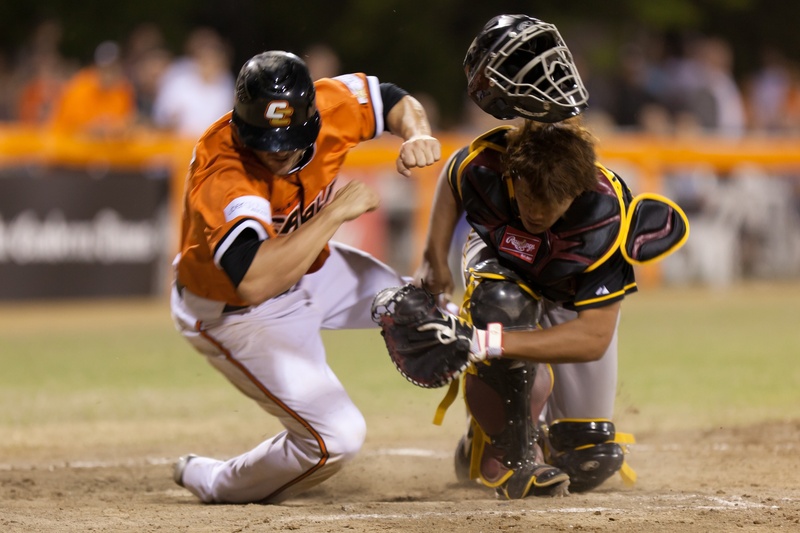 However, history would repeat itself again in 2011 for the 23-year-old switch-hitter as a dominant force behind the Canberra Cavalry charge in the ABL. The Cavs lost its star slugger when he slid into second base in a game against the Adelaide Bite last month and experienced a small tear in a shoulder tendon. Later medical scans confirmed John Tolisano’s shoulder injury was worse than first thought, which resulted in him returning to Florida for treatment. Before Tolisano got hurt, he was by far the best player in the ABL. In his first game on November 4th, he went 2-for-3 with a home run, a walk and two runs scored in Canberra’s season-opening victory against Brisbane. On the next day in a doubleheader against the Bandits, he reached base five of seven times and slammed a walk-out home run in the nightcap. Tolisano continued on his torrid pace, going 6-for-14 (.429) with a .529 on-base percentage, one double, two home runs, three walks and 13 total bases in his first four games. 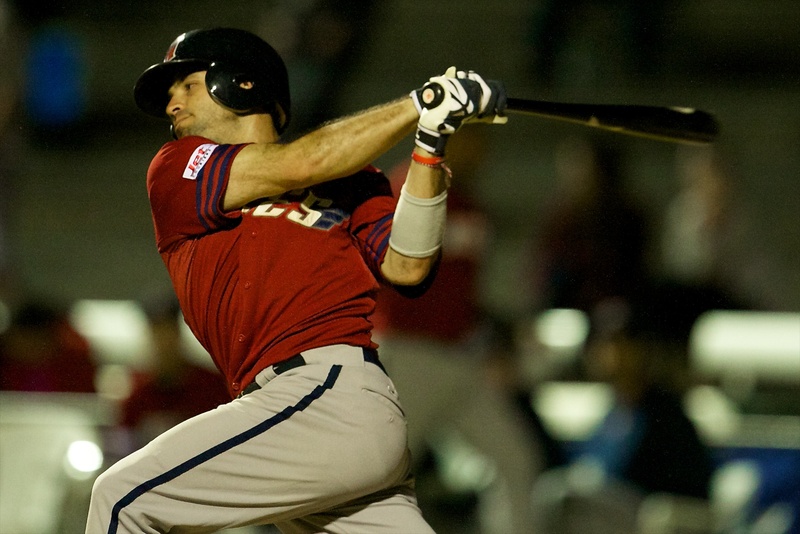 John Tolisano was named ABL Player of Week for Round One as a result of his terrific start in the ABL. Prior to his injury on November 11th, he was batting .333 and led the team in almost all hitting categories. The Cavs second baseman will be sorely missed for the remainder the year, and we hope that the future Toronto MLB All-Star will return sometime in 2012–especially if Canberra can make it into the playoffs. Tolisano is expected to make a full recovery by January, so we anticipate a bright road ahead for this budding superstar. Come back! 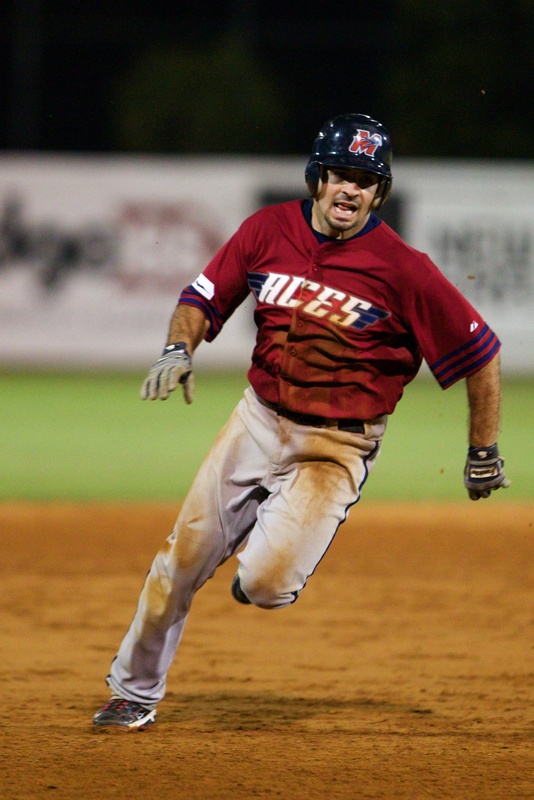 28-year-old Melbourne Aces shortstop Dominic Christian Ramos was drafted by the Boston Red Sox in the 17th round of the 2005 MLB June Amateur Draft. During his two years in the Red Sox farm system, the former Texas State University player made a few stops–including Boston Single-A affiliates Lowell Spinners and Greenville Drive–before joining the Can-Am League in 2007. Making his debut with the Worcester Tornadoes in Massachusetts, Ramos put together a .311 batting average with five home runs and 43 RBI. After being traded to the Brockton Rox in 2008, he broke loose with 116 hits–second-most in club single-season history. 2009 was equally as impressive as he hit .294 and finished fourth in the league with 108 hits. Ramos hit at a .288 clip in 2010 with 35 RBI, 19 doubles and one homer. Before heading ‘Down Under’ to play in the ABL, the five-foot-ten Texas native finished the 2011 Brockton season with a .284 batting average, 34 RBI, 23 doubles and four home runs. Putting a cross in the dirt every time he steps up to the plate, Dominic Christian Ramos carries his faith out on the field with him to withstand the intense and competitive pressure. The Melbourne Aces are believers in his ability to put up numbers offensively and provide solemn defense. Now among the Top 15 ABL hitters with a .295 batting average, he is living up to his word by ranking fourth in runs scored (16) and seventh in hits (24). 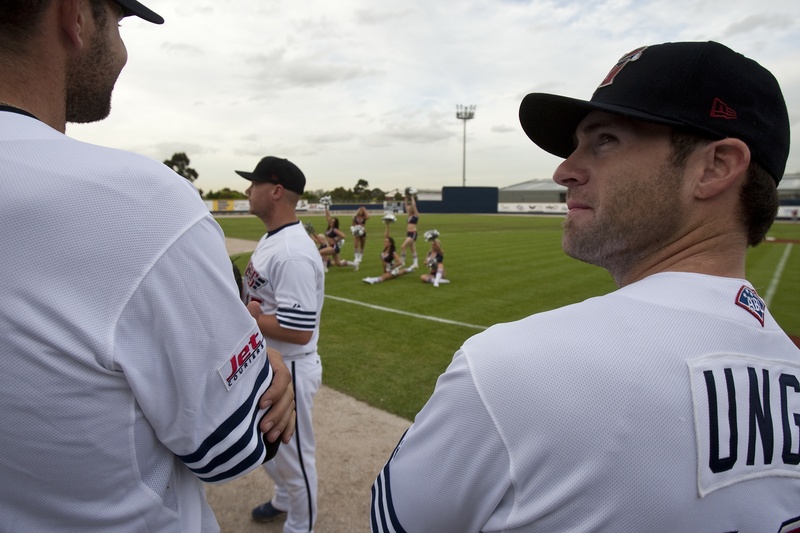 Taking a leap a faith with a blessing from above, Ramos and the Melbourne Aces pray everyday to make the ABL playoffs. God bless baseball. Amen!!! Next Article Hu is on the World Team in the ABL All-Star Game? Whew…what a relief!!! I sure you hope you enjoy this article as much as I did writing it. Thanks again to all the ABL staff, players and supporters for inspiring me to do my best work. Please follow me on twitter @ABLblogger and on facebook at mlbblogger to stay updated on baseball activities worldwide. Roberto thanks for the write up. It seems there are many of us players trying to climb higher in the baseball world. Hopefully articles like this will help each of us find a place where we can be our best.